You are here: home » Basics » Basics » Heretofore » What is a Solar Water Heater? 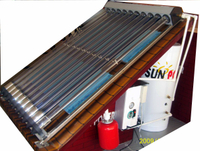 Solar water heaters use the solar energy from the sun to generate heat (not electricity) which can then be used to heat water for showering, space heating, industrial processes or even solar cooling. Solar energy is the primary energy source for our planet as it is responsible for providing energy for plant growth and providing the warmth that makes our planet habitable. 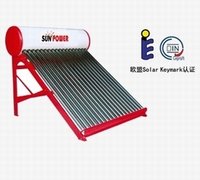 A solar water heater is one of the most effective ways of cutting a household's carbon footprint by reducing reliance on dirty fossil fuel usage. 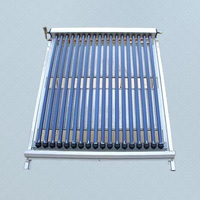 By offsetting the use of electricity, gas or heating oil, using solar water heaters can also provide financial savings by reducing energy costs.